It is well known that especially on the top side of open wagons, like hopper wagons, even at low speeds air flows are created that counteract to the forces that accelerate the wagon. Current approaches to enhance the aerodynamic behavior of wagons are solid closed covers or tarps. But such solutions entail several disadvantages, particularly the complications while loading bulk cargo, but also the disadvantage, that the fastening system requires a higher maintenance effort. To solve the above mentioned problems, scientists at the Technische Universität Berlin – in cooperation with the Havelländische Eisenbahn AG – have developed a hopper wagon that shows big aerodynamic advantages, despite a permanent opening on its top side, and independent from the loading level. The main advantage of this solution is the enhanced aerodynamic efficiency during transport. 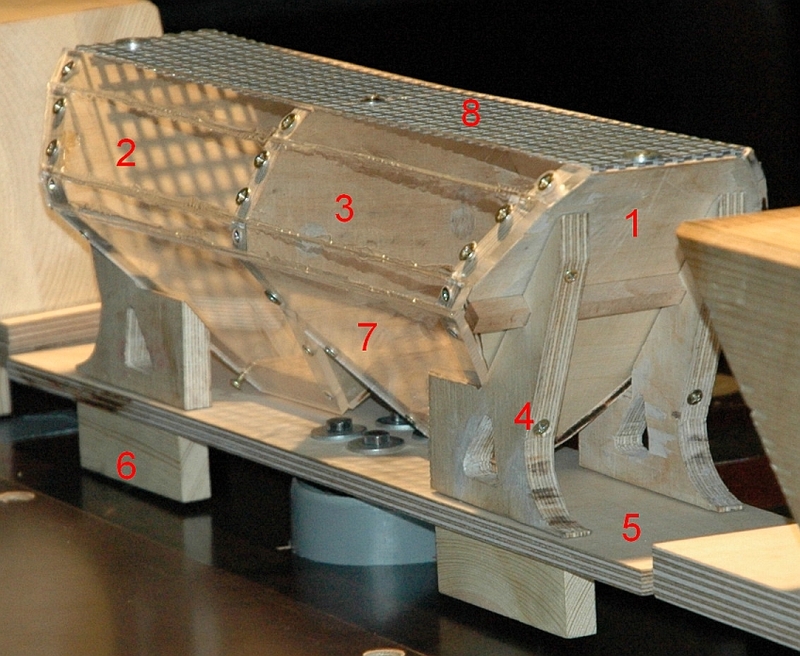 The novel construction of the wagon functions simultaneously as a strengthening element for the wagon structure. It thereby enlarges the profile of the wagon and reduces its weight. Both aspects finally increase the vehicle’s load capacity. Moreover, the new wagon design protects fine-grained bulk cargo from drifting away, due to the even airstream at low transportation speeds.